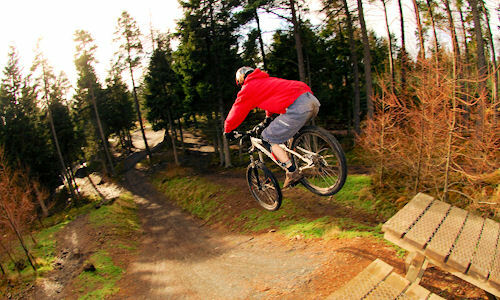 The 7stanes are a series of mountain bike centres in Forestry Commission Scotland forests in the Borders and Dumfries & Galloway: Glentress & Innerleithen, Newcastleton, Glentrool, Mabie, Ae, Dalbeattie and Kirroughtree. There are 400km of all-weather trail - more than enough for a week's holiday in the South of Scotland! Add to that the wild riding in the surrounding hills and single track at Drumlanrig and you're sure to find a trail to suit you. 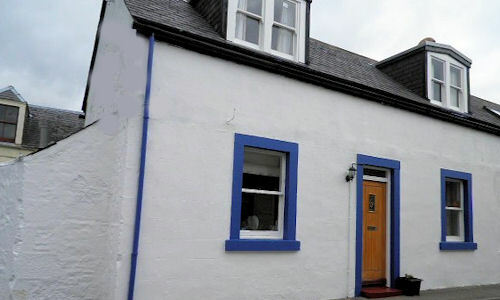 Four-star luxury self-catering holiday cottage in Moffat, south west Scotland. Sleeps up to four. Kirsty Cottage is a 250-year-old stone cottage located in the heart of Moffat, only a couple of minutes' walk from the High Street. Set in the heart of Southern Scotland, a short distance from the M74, Moffat is a great place to visit. Tracing its history back to the days of Robert the Bruce, today Moffat is an outstanding conservation town with modern amenities, including free parking, a "double" High Street and lots of specialist shops,great places to eat and drink and many superb walks. The rugged coastline, sandy beaches, tranquil lochs and forests make Dumfries & Galloway a fantastic place to visit. Quiet roads with little traffic and free parking in almost all towns combine to help you relax and unwind in the magnificent landscape. The town of Moffat is less than two miles from the M74 motorway, the main link between Scotland and England. The nearest railway stations are in Lockerbie and Dumfries, which have regular bus connections to Moffat. With more artists per square mile than anywhere else in the UK, Dumfries and Galloway's rich cultural heritage can be found everywhere from the smallest coastal villages to the hilltops. © 2011 Kirsty Cottage. Luxury self-catering accommodation in Moffat, Dumfries & Galloway.